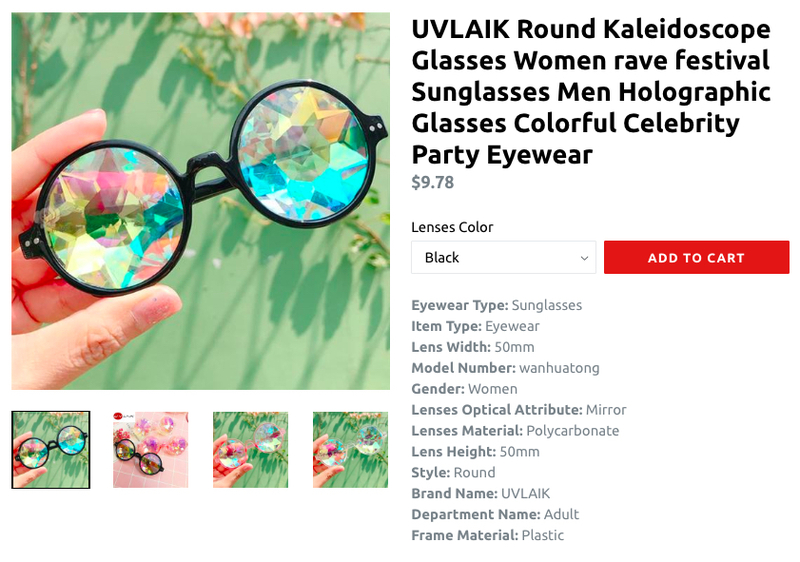 After spending endless hours finding a niche, choosing products to sell and then setting up a store it can be exhausting to even think about writing product descriptions. After reviewing hundreds of stores it’s clear that product descriptions are one of the most underrated areas of improvement. With dropshipping you're limited to the information your supplier provides which can make it difficult, but it doesn't need to be! 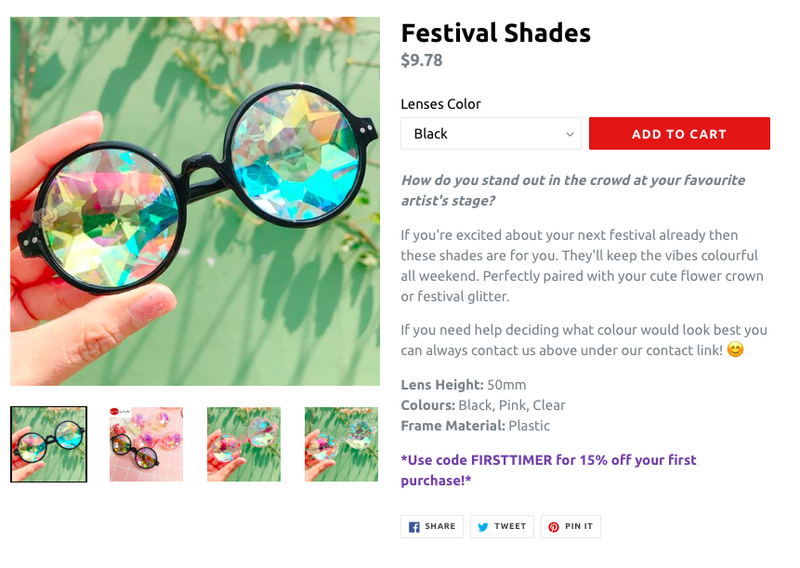 Even if you’re not going to a summer festival, is there anything in that description enticing you to purchase this product? No, and your customer feels the same way! Here’s some easy tips to help you write killer descriptions fast! When writing your product description think about your ideal customer reading it. You want them to feel you are speaking to them rather than a general crowd. You want to consider if they enjoy humour, what words they use, and what questions might they ask themselves about the product. It’s the same if you were talking to them in real life, you need to meet them at their level to connect with them. There’s a few ways you can get to know them. First, look up blogs and websites to see the language they use and their tones. Follow their hashtags on Instagram to see what content they are posting to get some ideas of things to include or focus on. Join niche-related Facebook groups to see what they talk about! Remember you’re not selling just a product but rather an experience! Most of the time the products we’re purchasing are not necessary to survive but rather something we want. You want to make sure that your customer wants to purchase it and so you need to write and sell that experience. It can be different depending on the product but that’s where your previous product, niche and competitor research comes in. Try to think about why your audience ultimately wants this product. A great place to look for this is influencers in your niche! They’ll be displaying and exuding the qualities your audience is looking to achieve. You’re not the only one that is busy, so are your customers! It’s important that while writing product descriptions you cut out the unnecessary information from the supplier. Of course, if your customer has any questions they can always contact you to ask. This is also a great way to show them you have support making them feel more comfortable and confident to purchase. Start by removing any points from the supplier that are not relevant to your average customer like the model number. Try to leave only the points that they would be looking for when shopping, like the material for example! If you have customers emailing more than once with a specific question this would be the sign it needs to be in there. BONUS TIP: Add a discount code for first-time shoppers to get them from looking at it to adding it to their cart! Here’s our original Kaleidoscope Glasses from above after our 3 step transformation. Nothing complicated and it has proven to make the biggest difference in my store! I’d love to hear your experiences and tips with products descriptions. Do you take advantage of them? Have you catered them towards your audience? Please share!